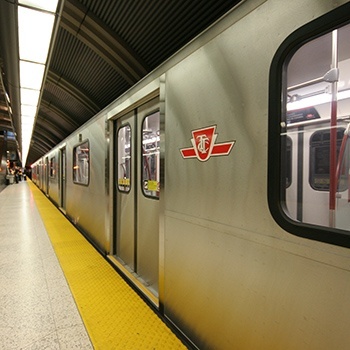 As part of its signalling and passenger rolling stock upgrade to Automatic Train Control (ATC), the Toronto Transit Commission (TTC) required technical expertise to support the delivery of Automatic Train Protection (ATP) on its Work Car fleet. CPC supported the development of the operational practises, developing scenarios and eliciting the future operating rules and procedures for the Work Cars. CPC’s proprietary Train and Signalling Performance Assessment Tool (TaSPAT) was utilised to evaluate the performance of various solutions and select the best option to achieve TTC’s headway and runtime requirements. CPC’s technical and operational expertise identified previously unexplored opportunities to revise operational working practices where it was found to be preferable to implementation of a complex technical solution.